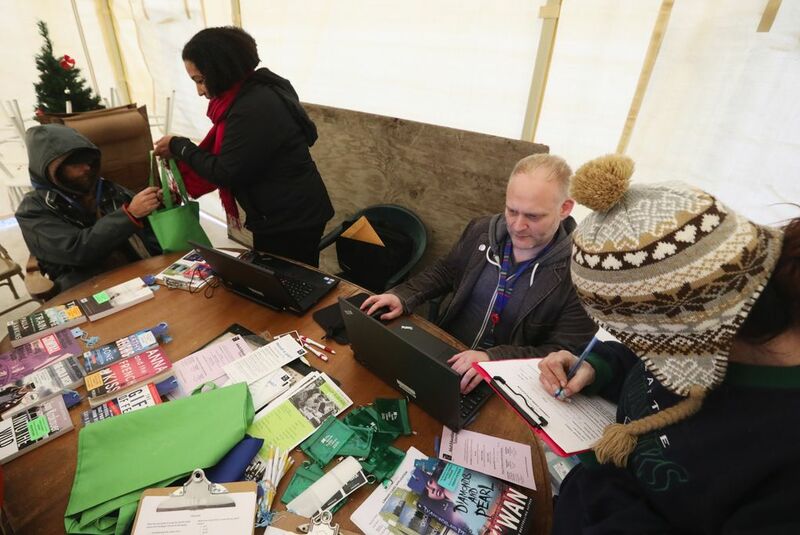 As debate over homelessness continues at City Hall, Seattle’s librarians have been visiting tent cities and handing out Wi-Fi hot spots. But the most popular item was­n’t a book. It was a Wi-Fi hotspot in a lockbox with a combination. All 11 of them were checked out by the end of the evening. 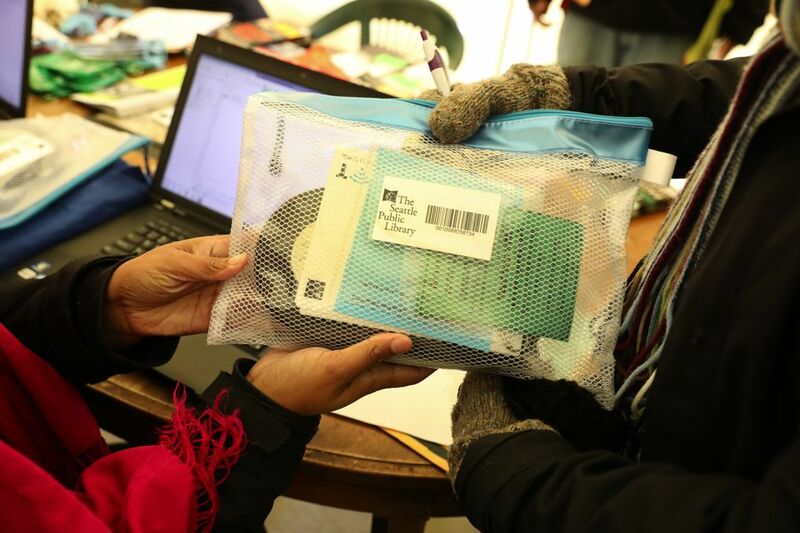 Since the library began bringing the internet to sanctioned tent camps, it has changed life for some of residents, giving them easy access to online classes, jobs listings and to reconnect with their families. Seattle as a city has already started thinking of Wi-Fi less as a luxury and more as a utility. The city helps provide cheap internet for low-income families and seniors, and in the last mayoral race, candidate Cary Moon made municipal broadband part of her platform. In Seattle, city-sanctioned tent camps started out as lo-fi affairs. But as they’ve become more a permanent part of Seattle’s landscape — there are now seven, housing 843 people last year — homeless advocates have asked the city for funding to improve living standards. In 2014, Seattle City Councilmember Kshama Sawant mentioned installing Wi-Fi in tent camps, which set off a flurry of media coverage, from GeekWire to Reuters. But money proposed for Wi-Fi was spent on more pressing needs, including portable toilets, electricity, running water and garbage collection. Tent camps aren’t supposed to stay in one place for more than a year (they can petition the city for a second year), so it’s hard to put in infrastructure. In 2016, Seattle Public Library stepped in. 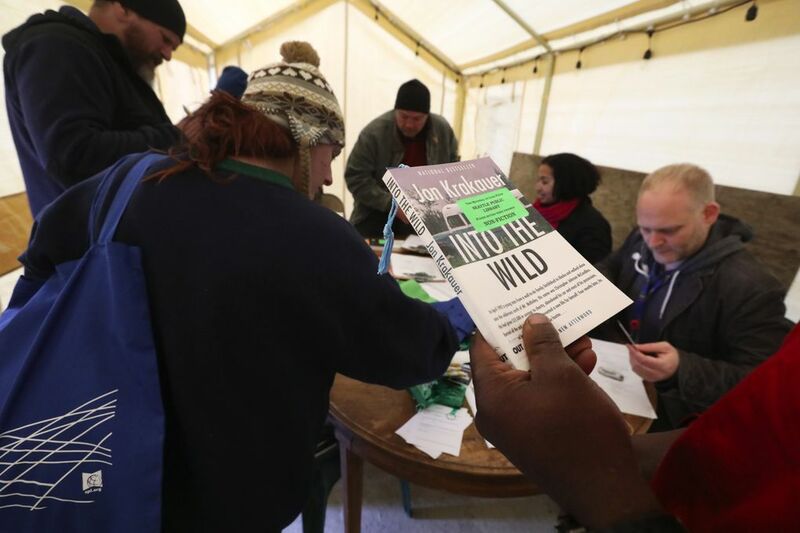 At least once a month, Hayden Bass, the library’s outreach manager, and a few other librarians visit a tent camp in the Seattle area, bringing books, library-card applications and Wi-Fi hotspots. The library has set aside 50 hotspots just for Seattle’s homeless camps, funded in part by $305,000 from Google. Libraries, especially Seattle’s Central Library downtown, have long been a refuge for homeless people during the day. The effort to bring the library to the camps is not about deflecting homeless people from coming to the branches, Bass said, but is for those who can’t make the trip or need access after hours. Others have started to follow the library’s lead. 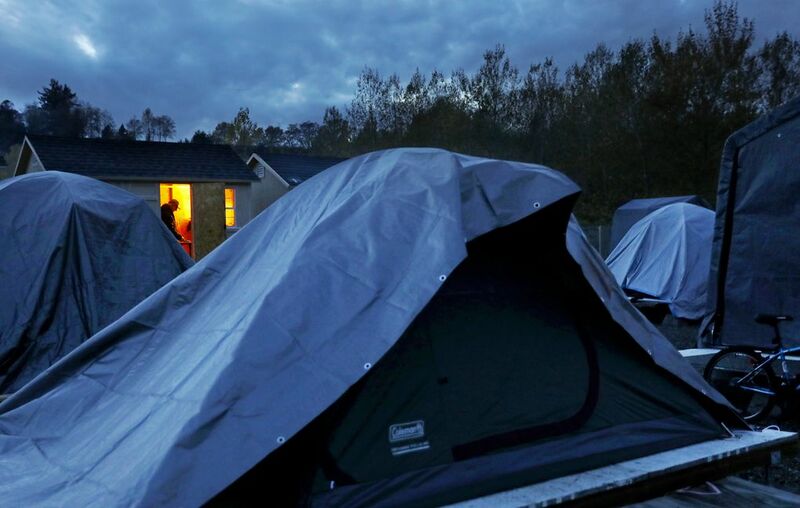 Twenty-five mobile hot­spots, funded by a grant from nonprofit Mobile Beacon, are being distributed by the Seattle nonprofit Low Income Housing Institute around tent cities, although the hotspots are primarily for caseworkers working with campers. The trend concerns Nan Roman, president of the National Alliance to End Homelessness. She supports better Wi-Fi access for people in homelessness, but is distressed that it potentially makes tent camps more permanent. One of the people lined up at that Camp Second Chance visit, 67-year-old Wesley Green had never used the internet before. He moved out of his Kent trailer park when the rent went too high for his fixed income. Camps can borrow the hot­­spots for two to four months at a time, although there is a long waitlist for the hot­spots, and camps have Wi-Fi about half the time. Camp administrators can use it to screen and do background checks on people applying to move in — a critical safety measure for a camp. People in camps use the internet the same way anyone uses it. The library surveyed 132 people who checked out Wi-Fi hotspots and among the most common uses were connecting with friends and family, looking for work and housing, and following the news. But the most popular use of the hotspots: entertainment. Bass finds it hard to fault any homeless person for that. “Every day is hard when you’re homeless, and it’s nice to just come home and watch a movie,” Bass said. That’s true for Aaron Ervin. 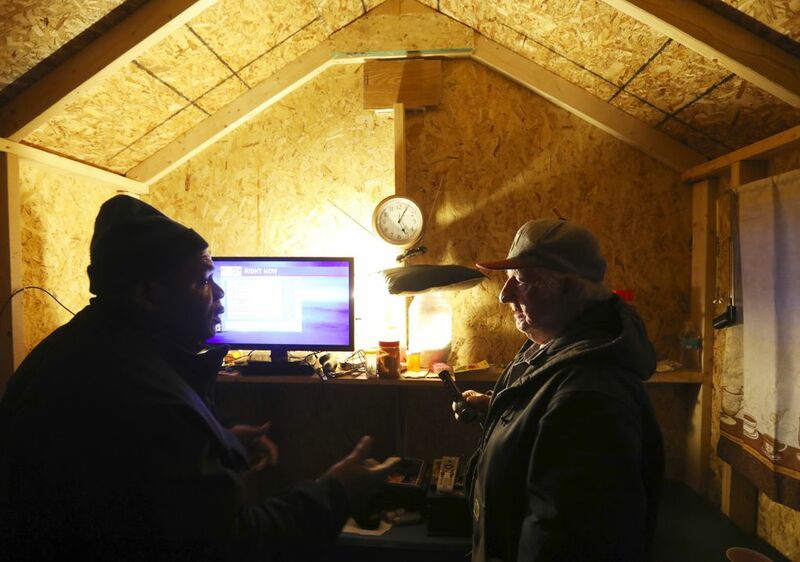 Back in 2014, when the question of Wi-Fi in homeless camps bounced around Seattle, Ervin was a resident of Tent City 3, then in Seattle’s Ravenna neighborhood. He told media outlets that he wanted Wi-Fi so he could listen to George Gershwin’s “Rhapsody in Blue” every day. Ervin first heard “Rhapsody in Blue” when he was 17 and it came on TV in a United Airlines commercial. “And I was like, ‘What is that song? Something about that song just motivates me,’ ” Ervin said. Tent City 3 never had Wi-Fi while Ervin was there, and today he lives in a Portland tent city, Dignity Village, where he said Wi-Fi is included in the small amount of rent residents pay. Ervin can now listen to “Rhapsody in Blue” every day. That motivation has helped, but he’s still looking for that steady job to help him move out of the tent camp for good. If camps in Seattle want dependable Wi-Fi in the future, they may have to do what Dignity Village does. But the library has started trying out a new model, where they rent more long-term hotspots to organizations that run the camps. The Seattle library expects a higher loss rate among hotspots in camps than among hotspots available to the general public. A loss of a hotspot normally incurs a $199 fine. But as an institution, Bass said, the library’s goal is to promote inclusion, so if it comes down to a choice between getting money back for a hotspot or keeping a user, the library will work with the user on a case-by-case basis.